Atsena Otie Key once housed the pencil factory. Now it’s a great place to fish! On the charts and maps of Cedar Key and Dixie County, Florida it’s named “Atsena Otie Key”. But to locals, it’s simply “Seenie Otey”. 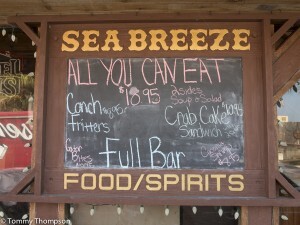 In any case, this island is just a short paddle from the beach and harbor at the south end of the town of Cedar Key. There, you can launch your own paddlecraft on the sandy beach, or rent one from Tom Liebert at Kayak Cedar Keys. 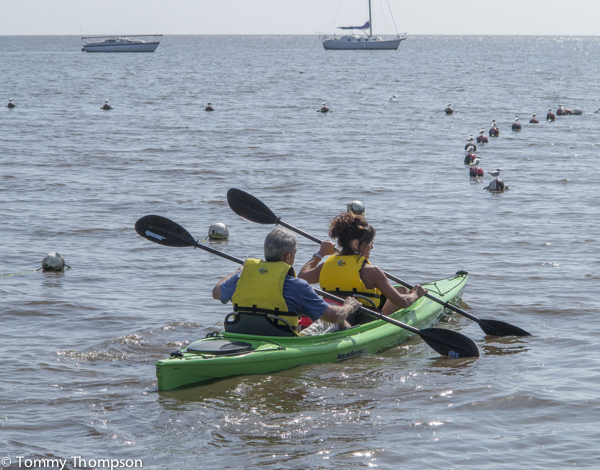 Kayak Cedar Keys is located near the beach, just across from the boat ramp and boat basin in Cedar Key. 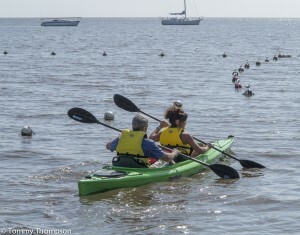 The beach near the boat basin in Cedar Key affords easy launches for paddlecraft. When there were still many cedar trees at Cedar Key, they were forested, mainly for the Eberhart pencil factory on Atsena Otie. Now, the island is uninhabited. For anglers targeting spotted seatrout or redfish, it’s the oyster bars that surround the island and the inner cove that gets their attention. 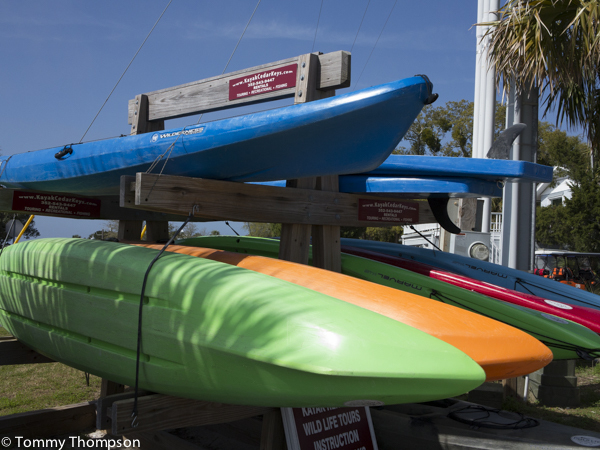 The island is only a half-mile from the boat basin (or the beach/kayak launch) and on most days is an easy paddle. The bars that surround the island are accessible at most tides by small motorboats, but the inner cove can be tricky. The best advice from “locals” is to head into the island’s interior only on high or rising tides–unless you’re in a kayak or canoe. 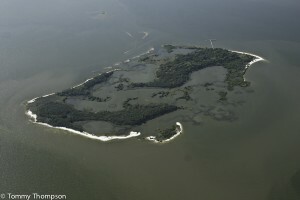 Depending on the weather and how cold the winter or hot the summer, the “bite” at Cedar Key can change. Your best bet for local advice is to check out the fishing reports from Cedar Key Marina II or ask at the Marina Hardware store that’s adjacent to the boat basin. 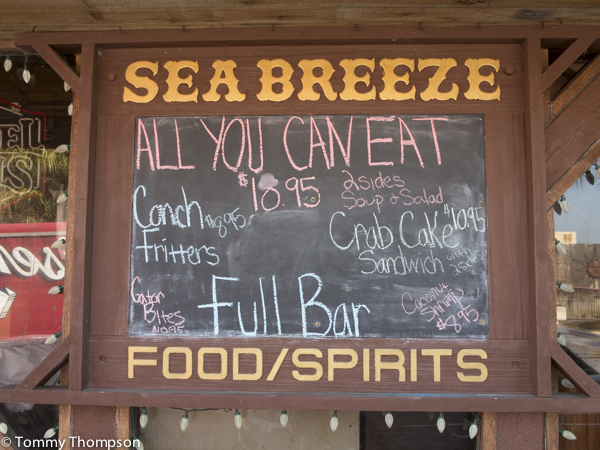 ….and when you get back from a long day of paddling and catching, stop in at the Sea Breeze Restaurant on Dock Street for a cold drink, a delicious meal and a great view of a Cedar Key sunset!